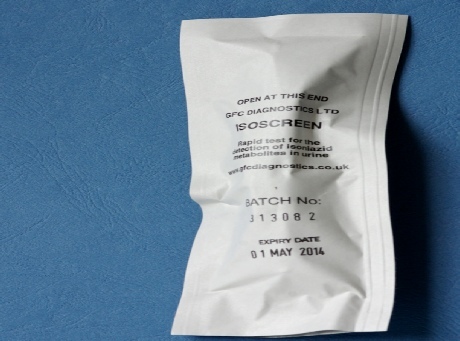 ﻿ IsoScreen is a urine test to monitor treatment adherence of patients with tuberculosis. If you have any questions please go to our FAQ's section. 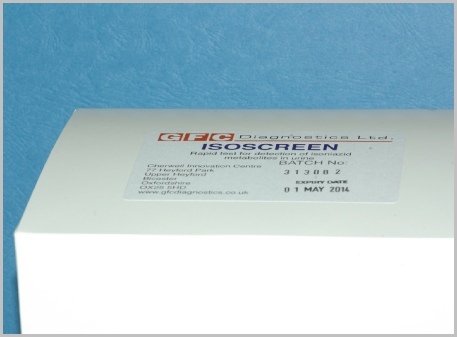 IsoScreen is a urine test to monitor treatment adherence of patients with tuberculosis. 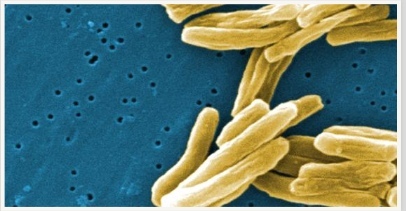 Isoniazid therapy is the mainline drug treatment for TB. The course of treatment is long and arduous, every day for 6-months or more, and the drugs are not without their side effects. 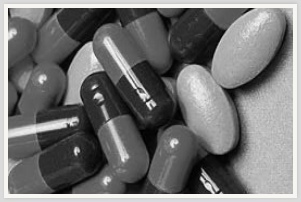 Many patients do not complete their course of treatment. Unfortunately, this non-compliance can lead to the recurrence of the disease, and in many cases the disease is resistant to the drugs previously used. 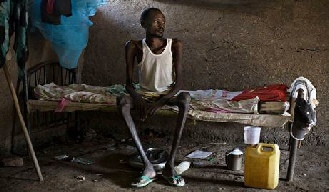 This multi-drug resistant TB is a growing problem worldwide. 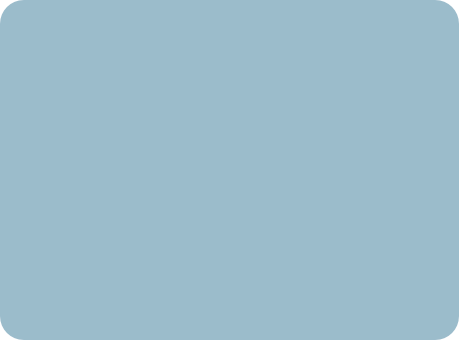 We have incorporated a test for isoniazid into SafeTube to produce a 5-minute test that turns blue/black if isoniazid metabolites are present in urine. A recent audit of treatment compliance by patients attending a TB outpatient clinic showed that over 5% of patients were not taking their treatment correctly. 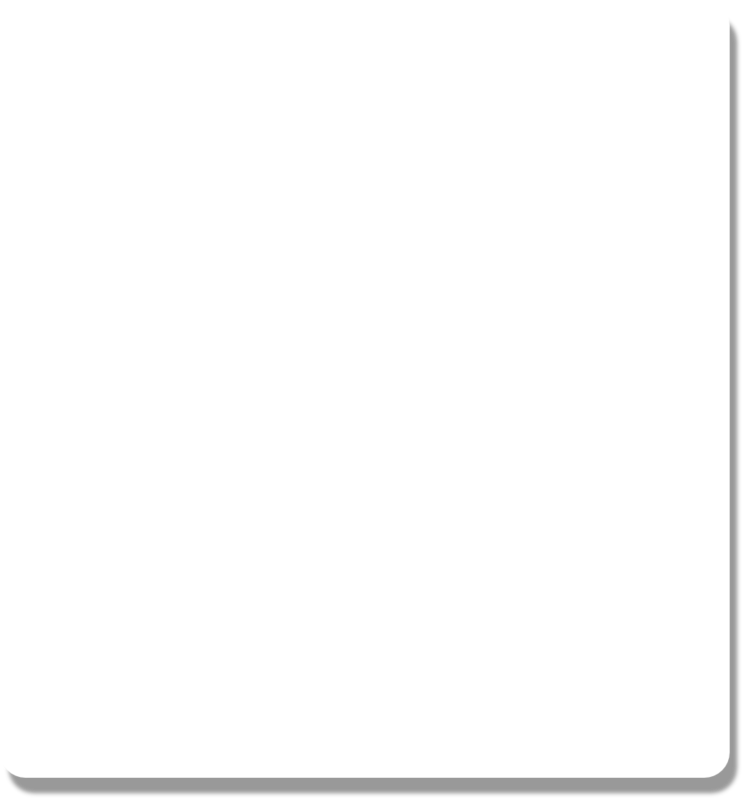 The test therefore indicated which patients required extra monitoring or an alternative treatment regimen (Ann Clin Biochem 2004). Independent studies have used IsoScreen to assess electronic monitoring of treatment adherence (den Boogaard), to monitor treatment adherence following home-based direct observation of therapy (Mkopi). Other independent evaluations showed the test to have high validity and reliability (Nicolau) with a sensitivity and specificity of 95% and 98% respectively (Guerra). 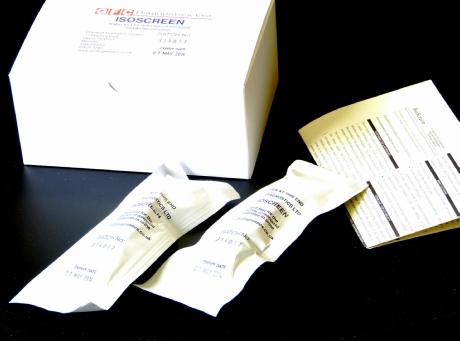 A study was carried out to determine the colour change of the IsoScreen test with time following the last dose of isoniazid. 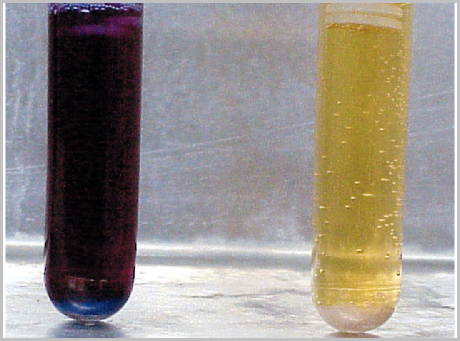 Of 99 results from TB patients who has just finished their isoniazid treatment within 12 hours, all urine samples were positive - purple (76%) or blue (24%) colour. At 24 hours the majority (66%) were blue, with 17% purple, 17% green and 1% yellow. 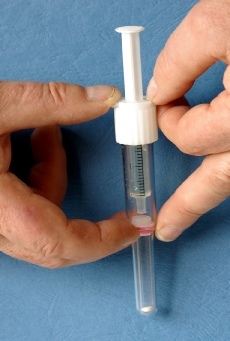 Push down on the syringe to expel its contents into the tube and then mix by flicking the tube vigorously for 30 seconds. 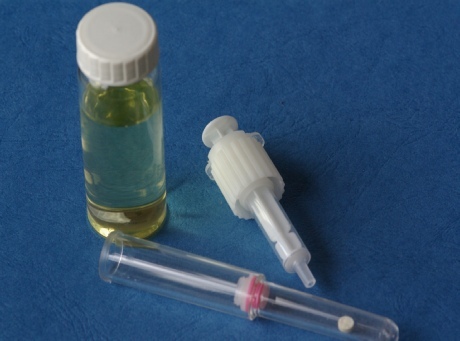 If the sample develops a blue colour, it is positive for isoniazid metabolites, and is therefore from a patient who is compliant with the treatment . 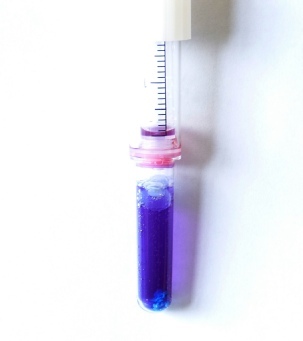 A blue/purple colour indicates that the drug was taken within the last 24 hours. A green colour also indicates isoniazid metabolites, but the drug was probably taken about 48 hours ago. 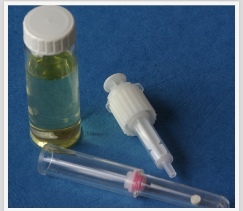 If the sample remains yellow, then the patient is not adhering to their daily treatment.